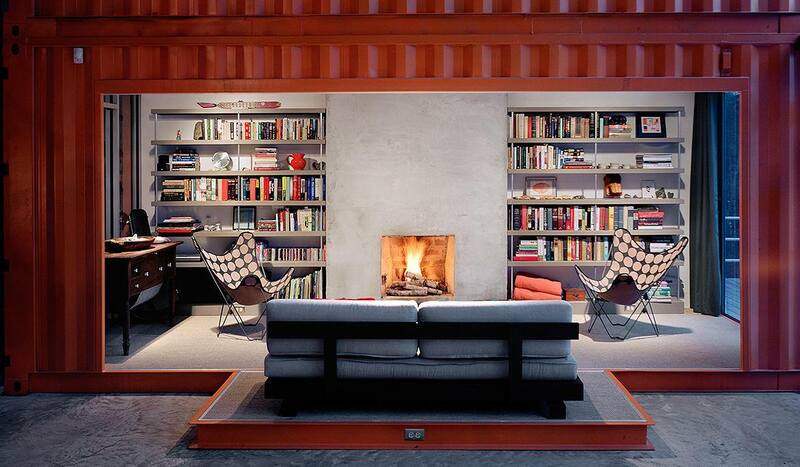 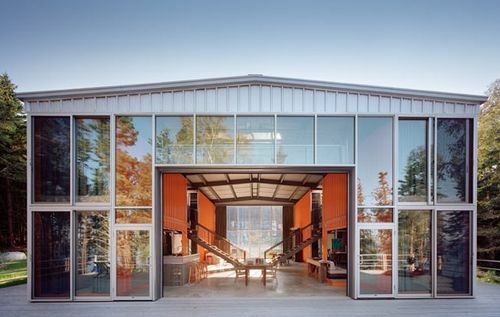 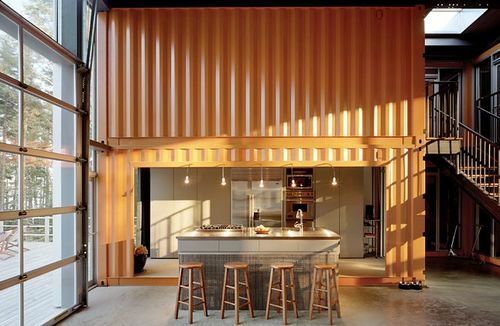 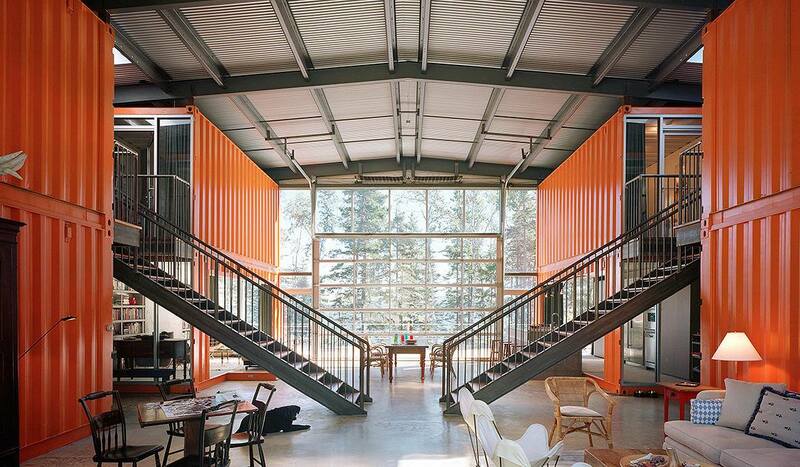 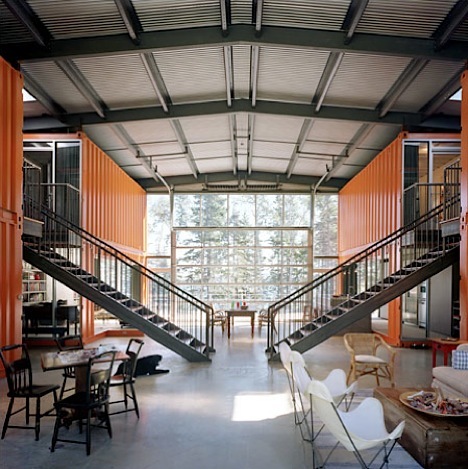 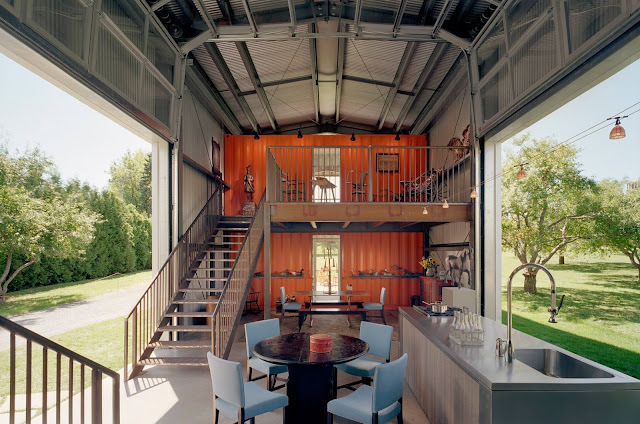 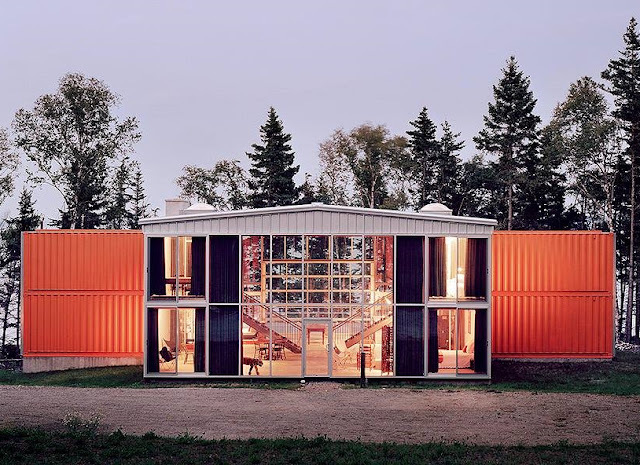 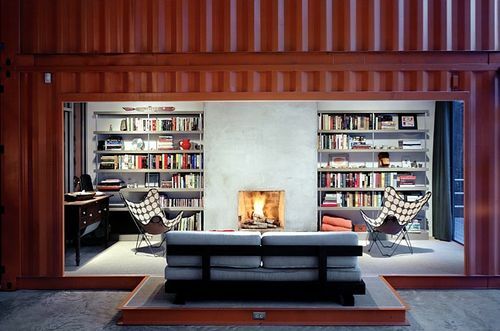 This beautiful container home was built by stacking twelve sea containers and replacing some of the steel container walls with large windows. The design creates the feeling as if there are exterior entrances, courtyards and houses within the building. 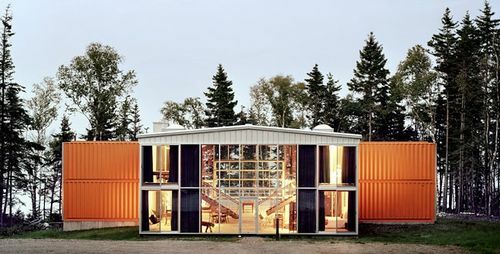 By using inexpensive, readily available sea containers to built the home, the architect managed to keep the cost of this beautiful container home at about $125/square foot.